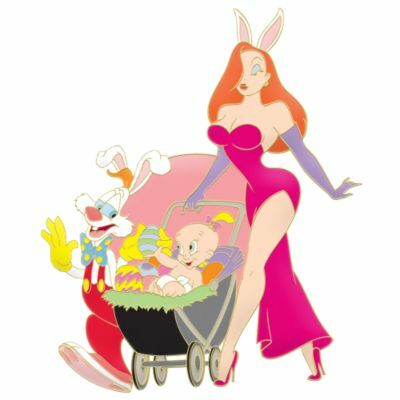 Roger and Jessica Rabbit take Baby Herman out for an Easter stroll. Baby Herman sits in his carriage with painted Easter eggs. Jessica is wearing bunny ears.